I’m participating in my first blog hop which is sponsored by the new collaborative blog I mentioned last week: The Blended Blog (name is a clickable link). 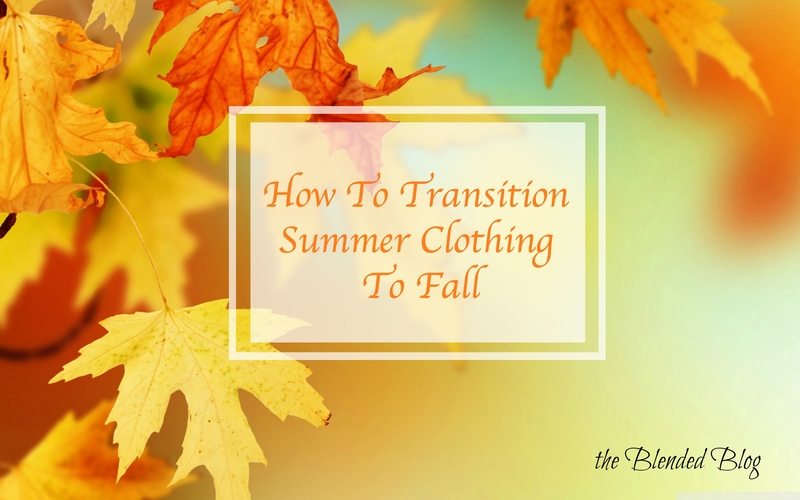 Fifteen bloggers will be sharing how to transition their favorite summer wardrobe items into fall. 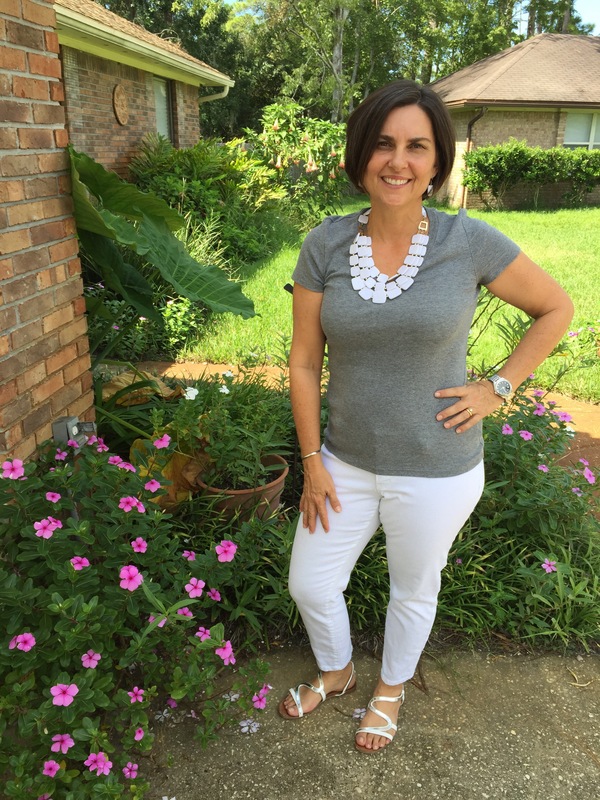 Today, I’m sharing about how to style white jeans for the fall. 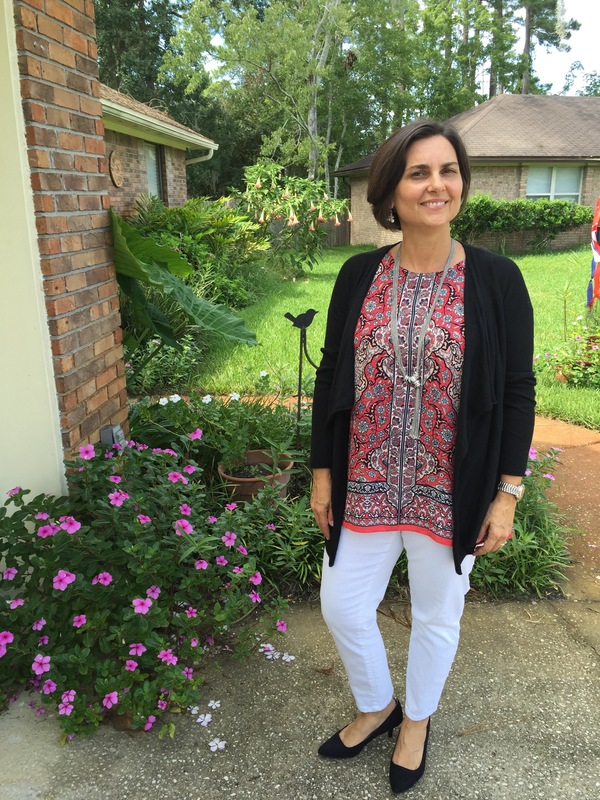 How many people follow the outdated rule stating that “you can’t wear white after Labor Day?” I was surprised to see how many people had strong reactions to it on a recent Facebook post. Personally, I tend to associate this rule more with shoes. This makes sense in areas of the country where the temperatures are starting to cool off to the point where ANY sandals would be silly to wear, not just white ones. I also associate the rule more with types of fabrics than actual colors. I cannot imagine wearing a linen dress or pants in the fall. Linen is such a summery fabric that it would feel out of place in cooler temperatures. However, white denim is a heavier fabric. It’s not as lightweight as a light cotton or linen so it is perfectly fine to wear them all year round. Here are some ideas of how to pull this look off. 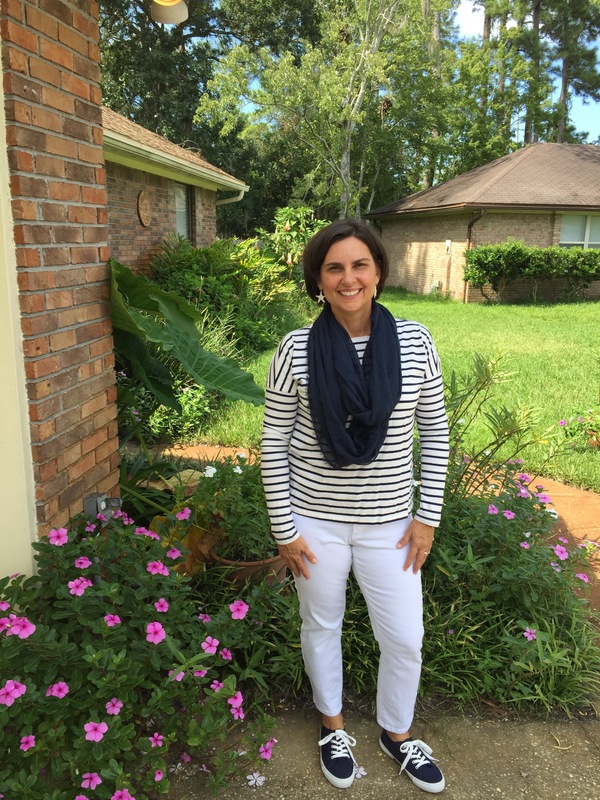 I love the nautical look, so this was a typical summer outfit for me. 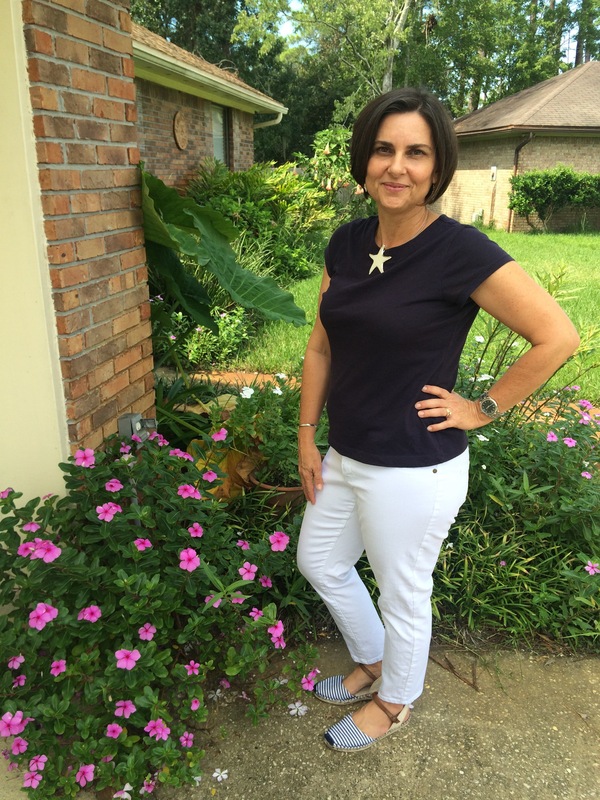 Navy tee, statement necklace and striped espadrilles (or white and silver sandals). Presto change-o… Make the short sleeved tee into a long sleeved one. I chose a white and navy stripe. Switch the espadrilles for navy sneakers and switch the statement necklace for a navy scarf. 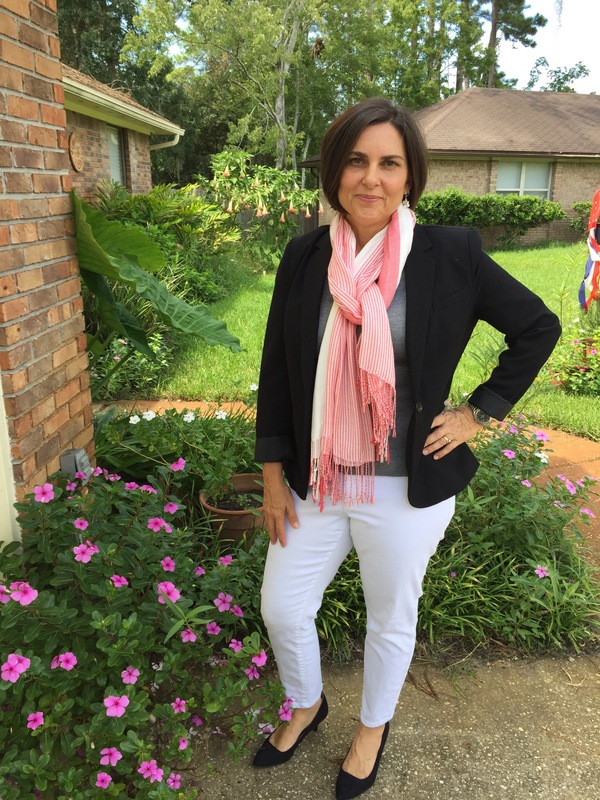 Or add a pop of color with a red scarf. Or try pattern mixing: stripe on stripe. Or go for a darker top. I added this black top with tiny white stripes. You could do a plain navy long sleeved tee, or even red. You could sub out the sneaker for black flats, pump or even a bootie. If it’s chilly where you live you could even start layering on a vest or a denim jacket to this look. You can also try a little pattern mixing. Here I added leopard print flats. Pair the white jeans with a grey tee. Add a statement necklace for punch and white and silver sandals. The easiest way to change this look up is to add a black blazer and swap out the sandals for black pumps or flats. You can keep the statement necklace or you can add a scarf. You can either keep it monochrome with a white and black scarf. Or add a scarf in a bold color like this fuchsia. Or a choose a scarf with a print like this coral stripe. Another idea is to add a jacket or cardigan with a print. The colder it gets the more layers I add. If it gets too cool for flats you can try booties or even boots. 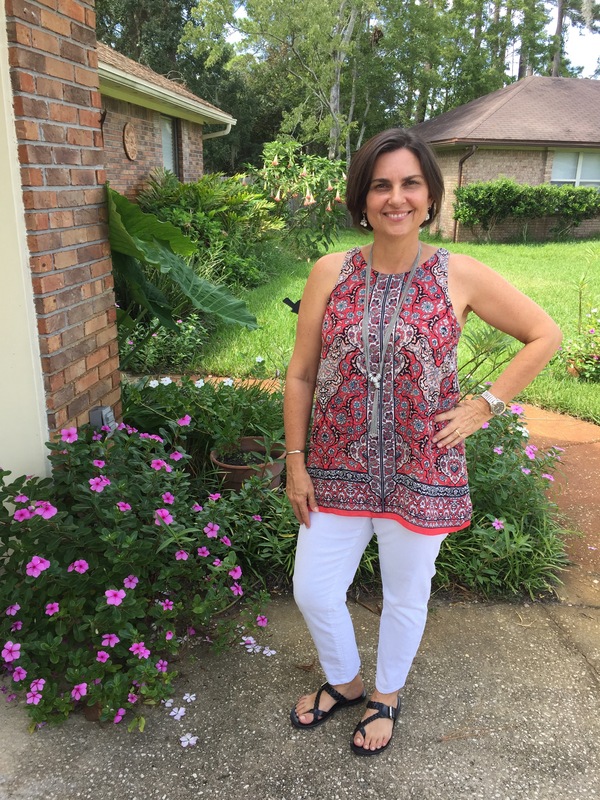 Another look I wore this summer was this flowy tank, white jeans and white sandals. In fact I wore this look with flat white sandals, high heeled white sandals or black flat sandals. You can still wear the tank as the temps cool off if you change the shoes to something close-toed and adding a longer flowy tank like this black one. You can keep the long silver tassel necklace or try a blingy pearl necklace. 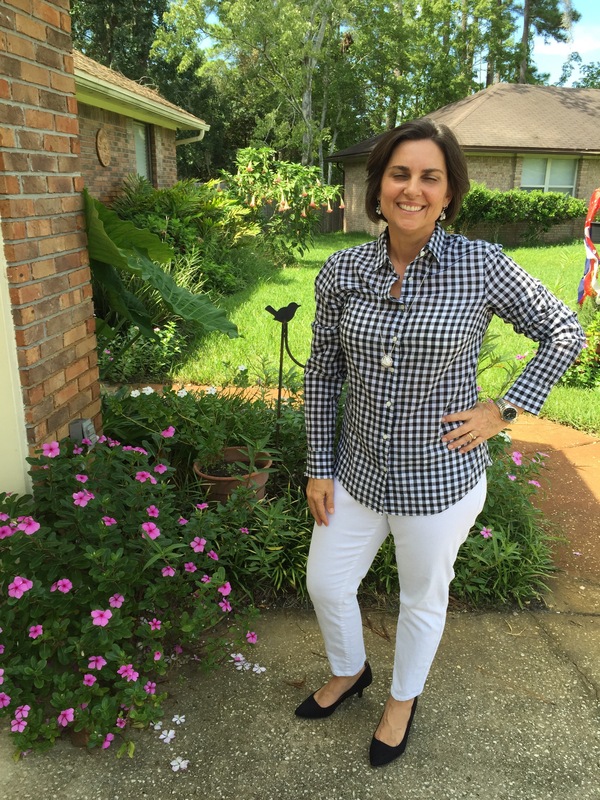 Another obvious way to wear white jeans is to pair them with a long sleeved shirt like this black and white check. (Oops. My photographer caught me mid blink.) Or a red checked shirt. This shirt is very light-weight so depending on just how cool it is you might want to add a layering tee or add another layer such as a blazer or cardigan. And my last look for you is one of my favorites. 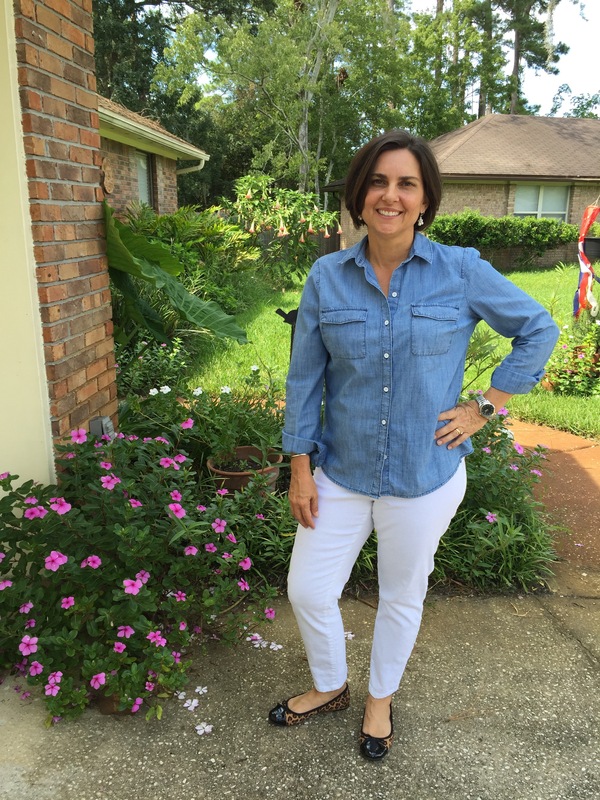 I have really fallen in love with this chambray shirt. It is such a workhorse. You can add a puffer vest, or denim jacket, or navy blazer, or military vest/jacket. The possibilities are endless. Awesome post! 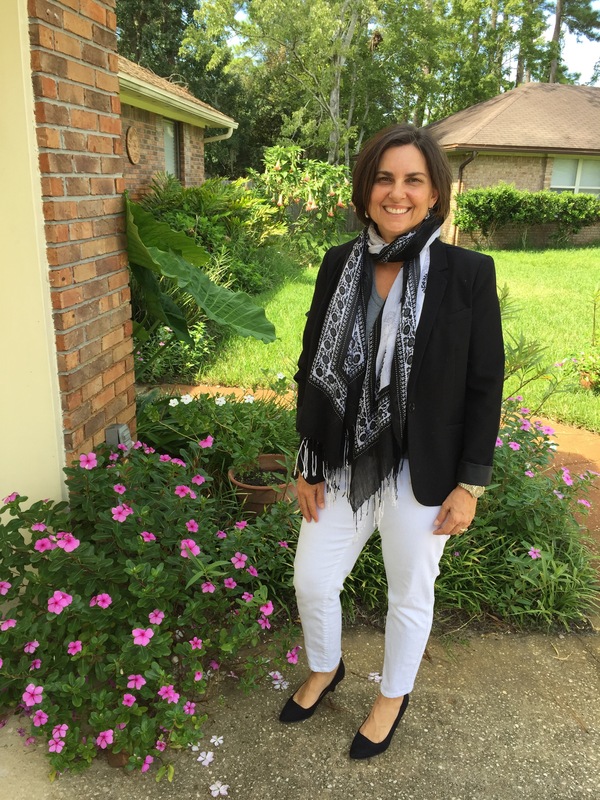 Your photos are beautiful (I love sneaking a peak of your yard) My fave white look is the patterned blazer with the grey shirt under. Beautiful! Thanks Deena! (My yard is a mess – typical for late summer.) 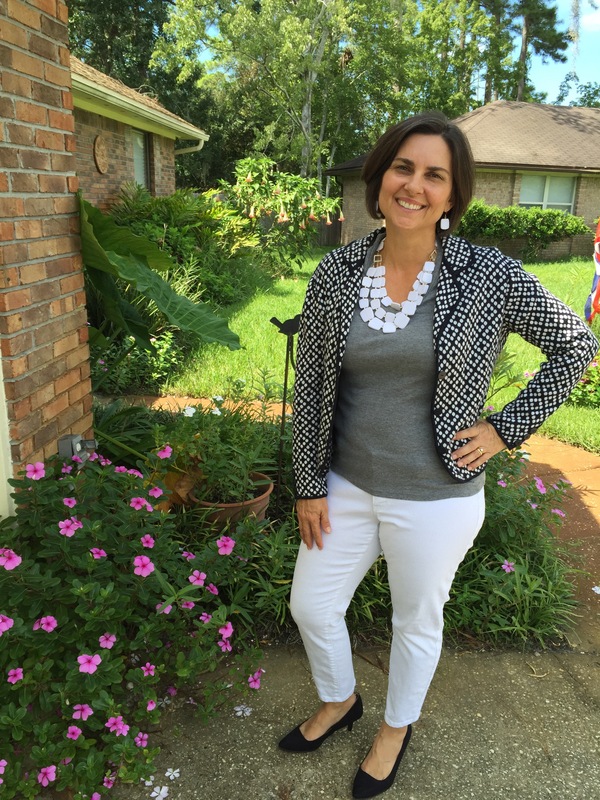 That patterned blazer look was very last minute! Glad you liked it! I did too! The blazer is actually knit so it’s super comfy. 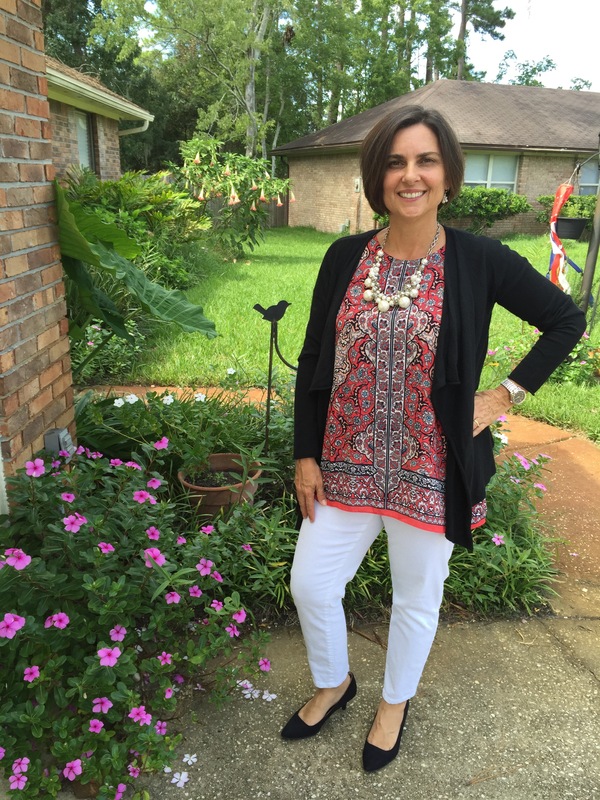 Stopping by from The Blended Blog! I actually wore my white jeans this weekend and wondered how many people were judging me for a major fashion faux pas! Glad to know I’m not alone in my love of white in the fall! 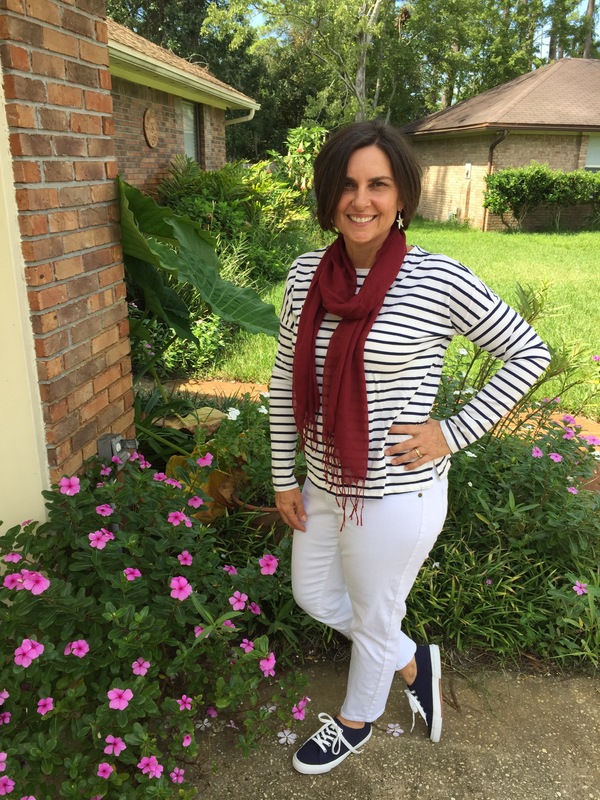 You have some great tips for fall styling and I’m looking forward to trying a few of them out! great post!! I LOVE how you used jackets and cardis!!! 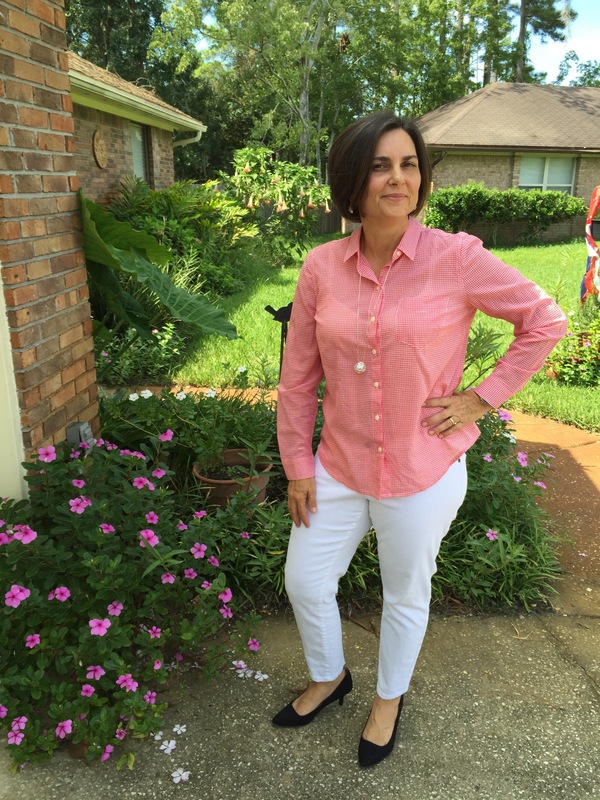 White pants are such a fresh look, it’s so nice to know they’re not just summer wear! 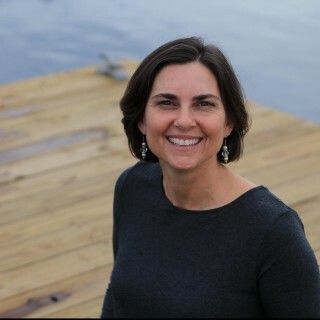 I’m stopping by to say hello from The Blended Blog. I don’t own a pair of white jeans, but your post has just convinced me that I maybe should!! Our blog names have a lot in common. Looking forward to more of your posts! Thanks for stopping by Susan! (Great minds think alike!) I found my white jeans at Marshall’s for $25. In “cost-per-wear” that comes to pennies because I’ve gotten so much use out of them already! Great looks! I follow the “white shoes only between Easter and Labor Day” rule, but for other pieces, I agree with you. It depends on the fabric. I especially like the styles where you simply added a layer to a summerish outfit and made a whole new look. Sometimes when I layer an outfit and end up taking off the outer layer I feel like my outfit is somehow not complete. But the summery tops you added a jacket or sweater to were complete either way. Great versatility! Wow, Sheila, you did such a great job with this! I actually just bought a second pair of white jeans because I love them so much. 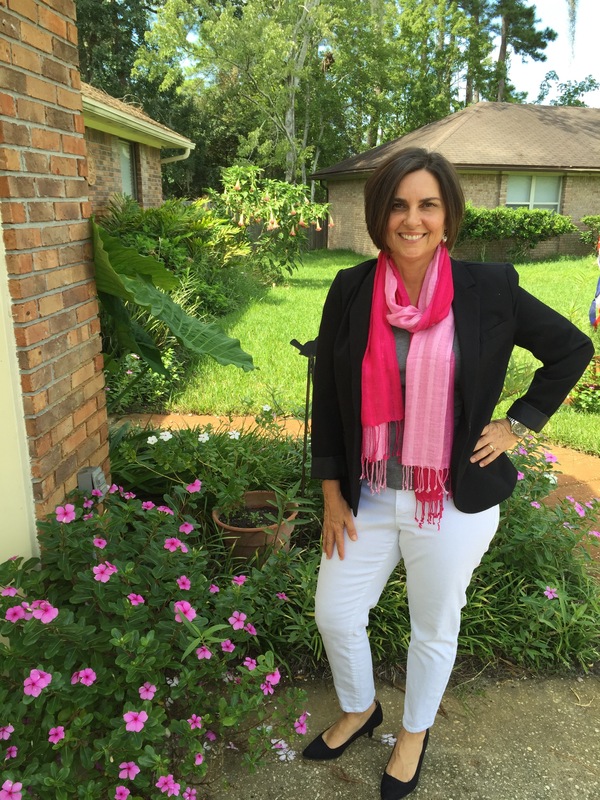 I think my favorite look is with the chambray shirt – and I love all your scarves! Oh I have quite the collection of scarves! I think they help stretch they wardrobe so much! I can see adding a second pair of white jeans – one that had a different cut. White is such a building block color that it would make financial sense! Great job, Sheila! Thanks for the inspiration. And kudos to your photographer! Just took my white jeans off and put my shorts on! Oh my goodness! So many great looks, girl. I’m absolutely loving how you dressed them up with blazers. Why has this never occurred to me? Why do I not own a single blazer? What?? You don’t? Navy blue is on my “to buy” list. I already own a black and a white. 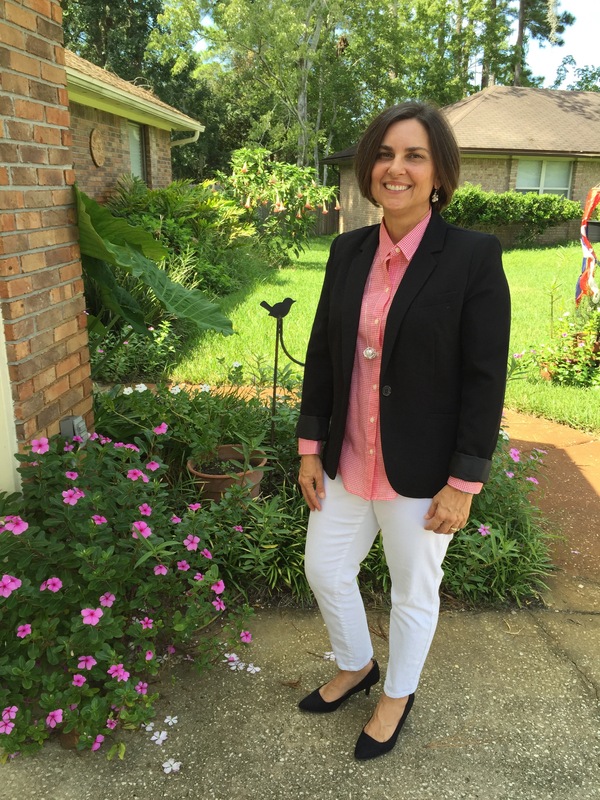 Pinterest is FULL of blazer looks! Check it out! Sheila!!! 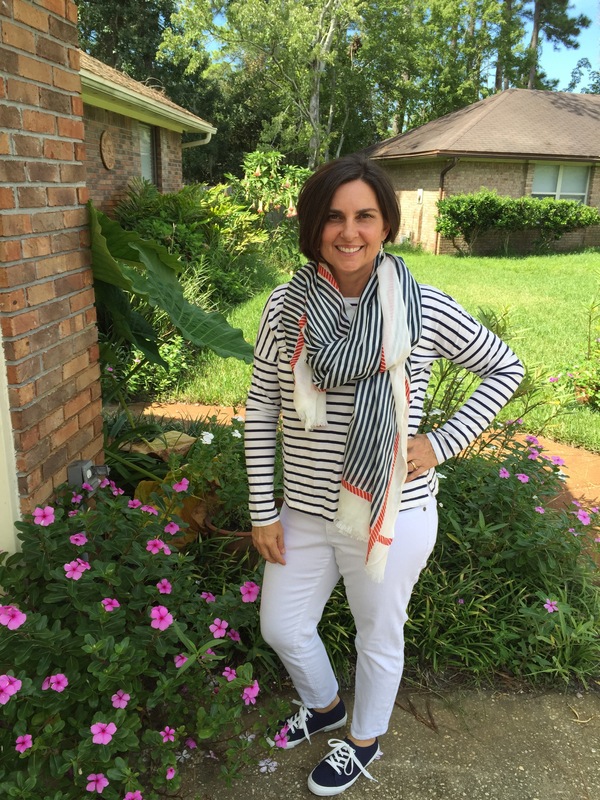 Love all these looks…the stripes the scarves!! You rocked this!! Awesome job!! 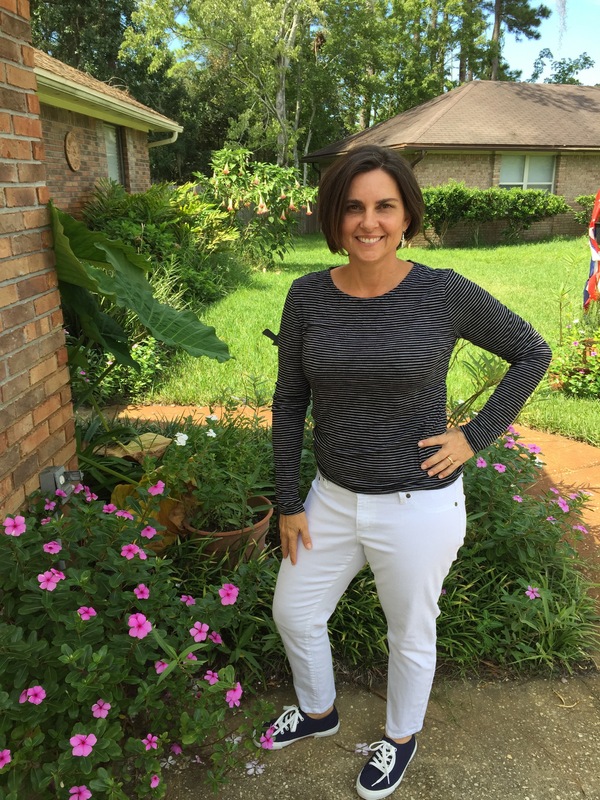 I can’t wait to wear my white jeans this fall!! Glad you liked it! Can’t wait to see your white jeans looks! So many great looks! Great inspiration for how to transition white denim to fall. I loved this! 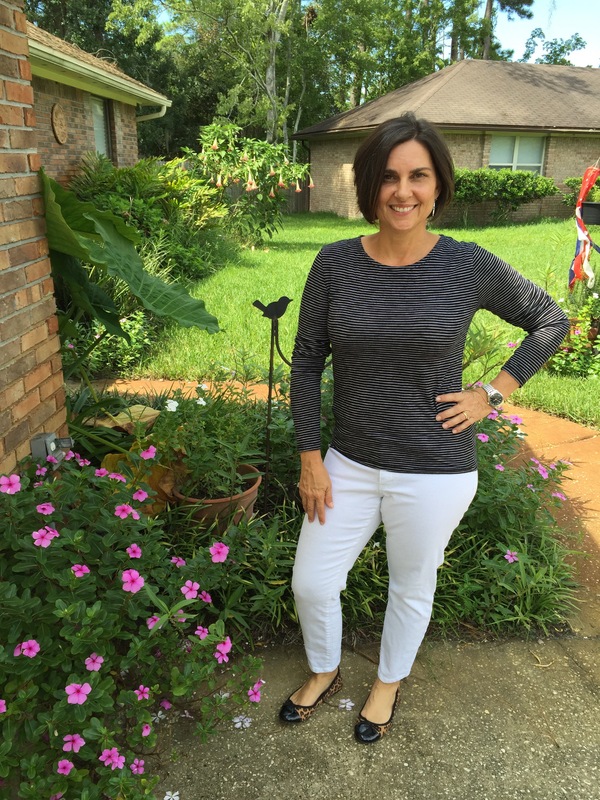 I have a pair of white jeans, but figuring out what to pair it with has always been a huge struggle for me! I pinned this so I could refer back to it. Thanks so much! So glad you got some ideas! Thanks for stopping by! Oh, my gravy!!! You outdid yourself. First you came up with this great idea of the blog hop and then you treated us to all of these fabulous looks. I love everything. That print jacket is adorable. Spunky! 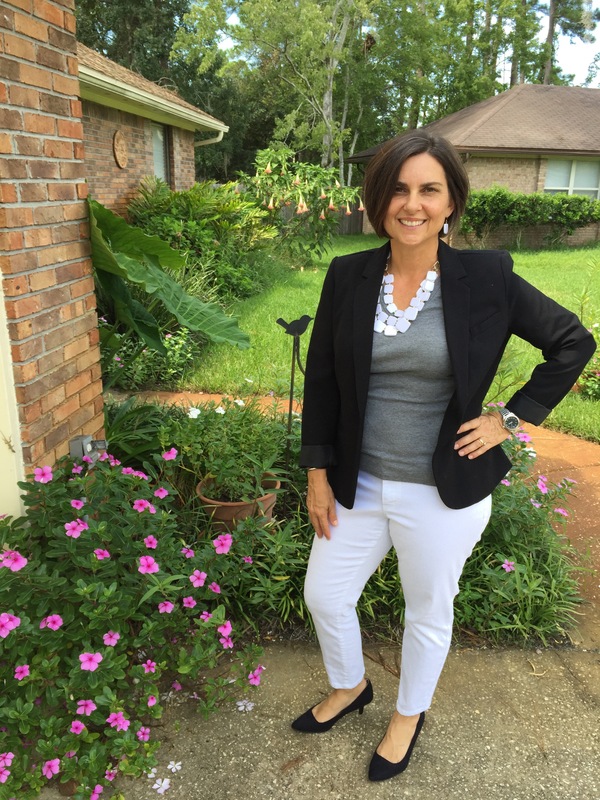 Love the gray tee and black blazer. That great necklace. Those darling pumps. All of the scarves. The striped scarf on the striped long sleeved tee. So much to drool over here. Great job, Sheila! Thank you so much Leslie! I’m blushing! You knocked this out of the park lady! Sorry I couldn’t comment till now, I can’t see your pictures at work…darn! Loved all of them, especially when you added the blazer, such great looks! Thank you Sarah! Glad you liked them! I love how you changed a few of the looks just by changing accessories! They looked great!